I've always loved horses, and the wild and free beauty of the horses of the Camargue region in France was especially appealing. (You can see an example of how these horses are typically photographed here.) I should have known that the odds of seeing the horses in this environment were about as great as the odds of seeing a bear in Yosemite in the winter! 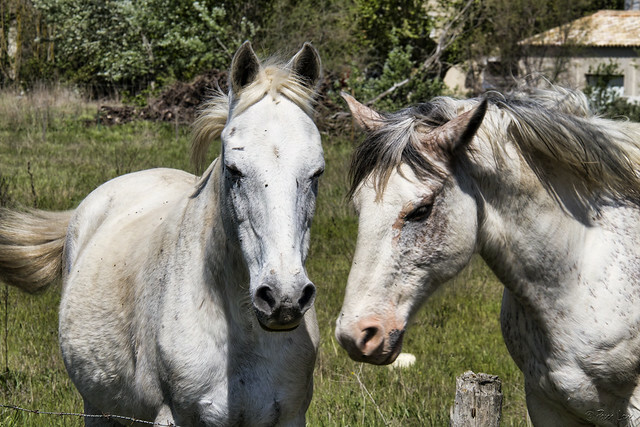 Many of these horses have been domesticated, and we did see a lot of them in pastures or stables, available for horseback riding throughout the region. Even domesticated, they are still beautiful.